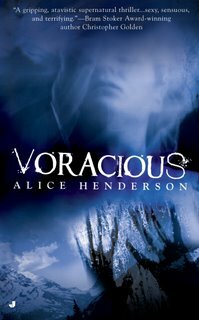 Voracious Hits The Stands Today! 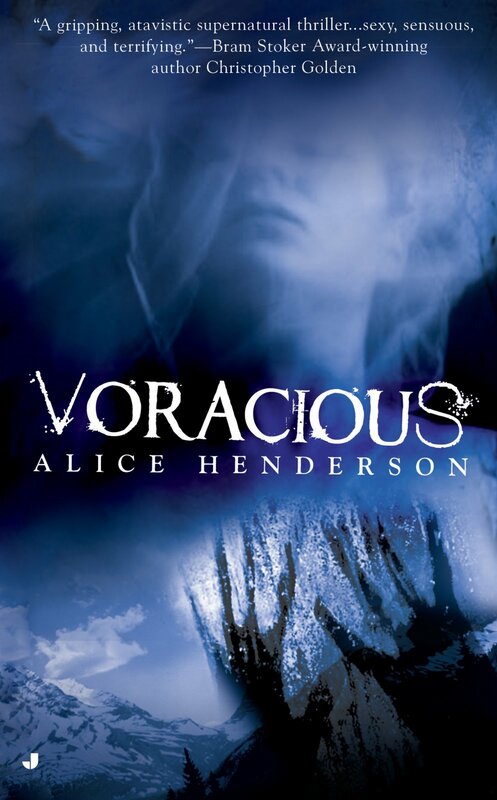 Today is a very exciting day for me -- my novel Voracious, set in the wilds of Glacier National Park, hits the stands! It's being published by the Jove imprint of Penguin Group. I recently got my first author's copy of it, and it looks gorgeous! Needless to say, I am doing the dance of joy here in lovely, rainy San Francisco! Madeline Keye's gift -- to touch someone or something and see flashes of the past -- has helped her track missing people. It has also set her apart from her family and most of the people in her hometown. So Madeline, already alone, turns to the wilderness for sanctuary. In the backcountry of Glacier National Park, she was always found peace and solace, away from all human contact. Until the day she is caught in a flash flood and almost dies. But she is rescued by a handsome stranger, and should feel safe once again. Yet she doesn't. She can't shake the feeling of being watched, of being hunted. Something is out there in the shadows. Something hungry. Something...not human. Click here to see the publisher's page for it. Click here to see a list of places carrying it. It's available in retail and online bookstores, such as Amazon, Borders, Barnes and Noble, etc. I hope you'll check it out!